Makkah Construction and Development Company (MCDC) reported a 7.2% year-on-year net profit growth for the fiscal Hijri year ended 30 Rabi Al Thani 1440H (8 January 2019). The Saudi Arabian developer’s net profits, after zakat and taxes, amounted to SAR 283 million ($75.45 million) last year, compared to SAR 264 million ($70.39 million) in the prior year, according to Makkah Construction’s statement to the Saudi Stock Exchange (Tadawul) on Monday. On the other hand, revenues went down 2.5% to SAR 549 million by the period ended on 8 January 2019 from SAR 563 million in the fiscal year ended 30 Rabi Al Thani 1439H (18 January 2018). 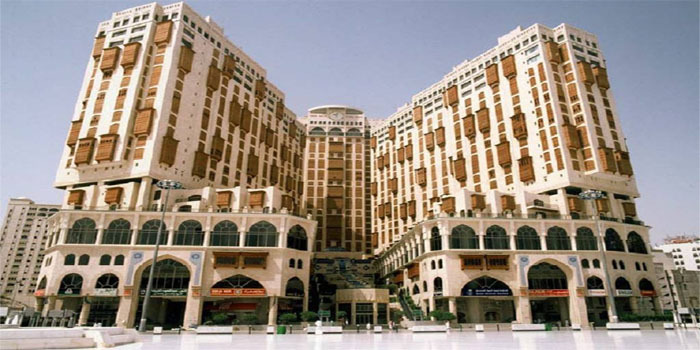 The rise in net profits was ascribed to the reduced operating costs of Makkah Millennium hotel and towers, the company said in the statement. During the fourth quarter of the last fiscal year, Makkah Construction’s net profits leapt 256.5% to SAR 82 million during the period ended on 8 January 2019, compared to SAR 23 million in the corresponding period a year earlier, according to statistics conducted by Mubasher. Over the first nine months of the last fiscal year ended 30 Safar 1440 (29 October 2018), the company’s net profits dropped 16.6% to SAR 201 million from SAR 241 million in the prior-year period. The Saudi Arabian developer’s board of directors recommended distributing 20% of the share’s nominal value, or SAR 2 per share, with a total value of SAR 329.63 million as cash dividends for the last fiscal Hijri year. By 12:04 pm Saudi time on Monday, Makkah Construction’s stock rose 1.88% to SAR 75.70.